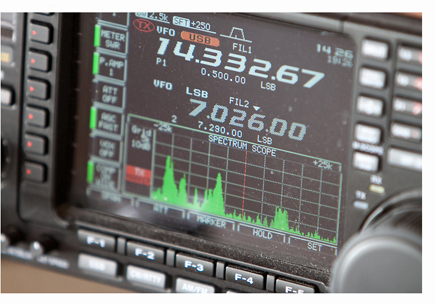 Amateur radio is a popular technical hobby and volunteer public service. work" and provides the opportunity to get "up close and personal"
learn. Amateur Radio is the only hobby governed by international treaty. of frequency bands allocated specifically to the radio amateurs. * Providing communications at times of emergencies and undertaking exercises to ensure you keep the capability to do so. public figures, the retired, schoolchildren and those at work or unemployed. signs as identifiers, there is no status on the air, and you talk, equal to equal, to everyone you contact. Local radio clubs can help you grow and develop. And remember, Amateur Radio offers enjoyment for you and your family as well. IOTA can be "family friendly", allowing your family to enjoy your amateur radio activities as well! Many people ask me if amateur raido is like CB radio. I usually answer "Yes, it is very similar in some ways, but also very different in others". the early 80s. Some people liken amateur radio to fishing. old. While he was making adjustments, I remember seeing him tuning the dial and wondered where all the other stations were coming from? gliding, reading, rambling or fishing, but they can be very fulfilling and offer many years of enjoyment and achievement.